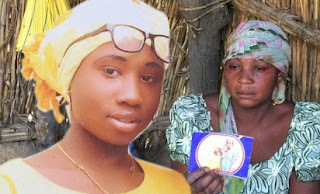 The Christian Association of Nigeria (CAN) has lamented what it said were feeble attempts made by the federal government to secure the release of Leah Sharibu, the Dapchi school girl who insisted on not renouncing her faith and converting to Islam. CAN said the development has affirmed fears in some quarters that Christians are endangered in the country. To this end, the umbrella Christian body declared March 25th as a day of nationwide prayers for the freedom of Leah Sharibu from the captivity of the Boko Haram terrorists. CAN President, Rev Samson Olasupo Ayokunle in a statement by his Special Assistant on Media and Communication, Pastor Bayo Oladeji, noted that if Leah Sharibu means nothing to the government and the security agency that negotiated the release of other Dapchi school girls, the life of the young girl means a lot to her parents and to so many Nigerians, irrespective of their religious affiliations. “The CAN President, Rev Dr Samson Olasupo Ayokunle, has directed all churches in the country to pray for the freedom of Liya Sharibu from the captivity of the Boko Haram terrorists on Sunday, 25 March, 2018,” the statement said.